Paul opened up Dell’s “November Gift Guide” earlier this week and saw a great deal on a digital SLR camera (and lens!) from Nikon. It cost only $499. He wanted to take advantage of this great deal, so he hopped right on Dell’s website to buy it. That’s when he learned that the prices in the November gift guide only applied for a fleeting moment, possibly before he even received it in the mail. Update, 11/20/12: Hey, look at that! The price suddenly fell for some reason that we’re sure had nothing whatsoever to do with this post! At the top of this post is a mini version of the “gift guide’s” cover. Here’s the relevant page with the camera. Paul helpfully added the arrow here. The current price on Dell’s site is $599, which is an improvement. 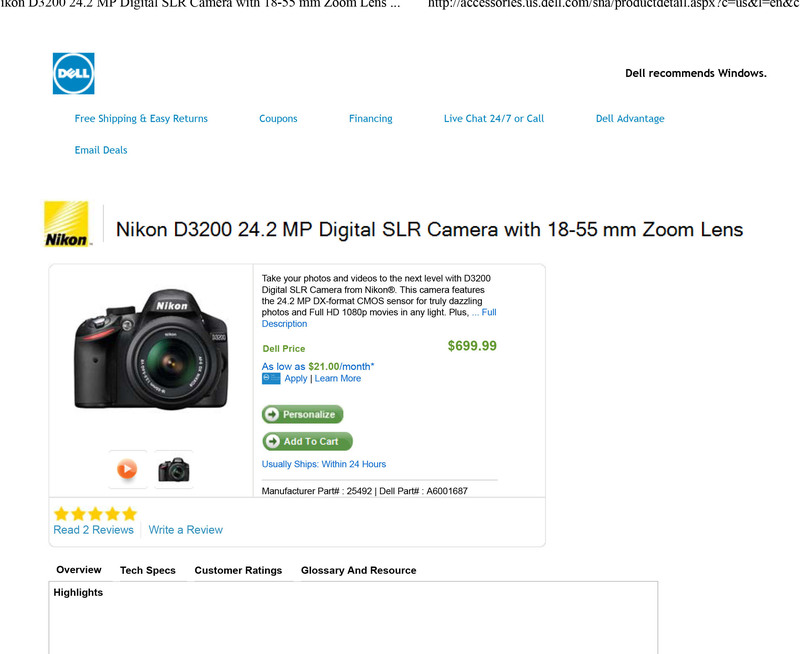 Here’s what Paul saw on Dell’s site when he originally went to buy the camera, though. It’s Interesting that the “Dell price” on the day Paul checked is $100 higher than what they claimed was the “market price” in the gift guide. The “market price” is the gift guide and on their site just a few days after this screenshot was taken. Of course, misprints in flyers happen all the time. Typos: we empathize. This camera pricing situation is strange, though. Either there was a typo and front-line staff are misinformed, or some other weird pricing game is going on. Paul braved Dell Hell to try to get the camera at the printed price. First, he tried Web chat. The representative “was not aware of the printed catalogue that was sent out by Dell,” Paul writes. Well, okay, maybe the customer service chat reps just don’t know about the catalogue. Maybe some other customer service representative would. Paul dialed the very toll-free number in the catalog and tried to order the camera. We were under the impression that this was how catalogs still worked, but not so at Dell. The list price for that camera was $699.99, and the representative couldn’t sell it to him for less. They could offer him the same camera in a different color for $599.99, but couldn’t honor the price in the catalog. We often try to beat into our readers’ heads what the actual meaning of “bait and switch” is. Right there, when the representative offered Paul almost the exact same camera for $100 more than he wanted to pay? That would be bait and switch if the $500 camera were never available for sale to begin with. Ah, but we’re not done with Paul’s call to the Dell catalog. Not some random Dell number he found on the Internet, mind you: the actual ordering number in the catalog in which he found the great deal on the Nikon camera. Wouldn’t this whole thing make a lot more sense of the original catalog price were a typo? Instead, Dell apparently has identical cameras that arbitrarily get sold for one price or another. We contacted Dell to see whether they could explain what the heck is going on here, but they haven’t called us back. We’ll let you know when they do. Previous Amtrak Train Headed For NYC Ends Up In Philly Suburbs Because Aren’t Surprises Fun?